Outperform and outlast traditional standard pitch models. Bimetal construction with teeth made from specially hardened type M3 high speed steel. The varying teeth height and gullet sizes result in much faster cutting and longer life. For wood; mild, stainless steel; cast iron; brass and aluminum. 51 sizes from 14 mm to 152 mm. Depth of cut: 11⁄2" (38 mm). M 3 HSS Cutting edge. 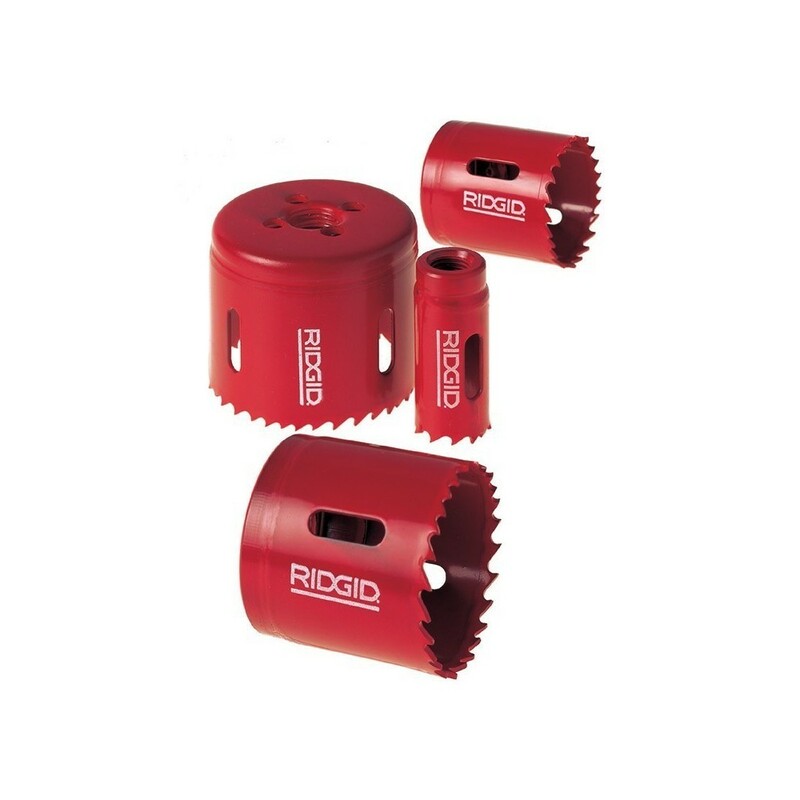 Use RIDGID Thread Cutting Oil on all metal except cast iron.